If you're interested in signing up, you can do so right now. Google and Ubisoft are joining forces to bring players a new innovation in game streaming online: Project Stream. Both companies made the announcement today as they begin working together to test the Project Stream service, with players being given a chance to try out the latest entry in the Assasin's Creed series, Assassin's Creed Odyssey. With the Project Stream test, Google plans to work through some typically frustrating issues that come along with streaming games in general, such as image degradation, buffering, and other quality problems that make for less than optimal streaming experiences. 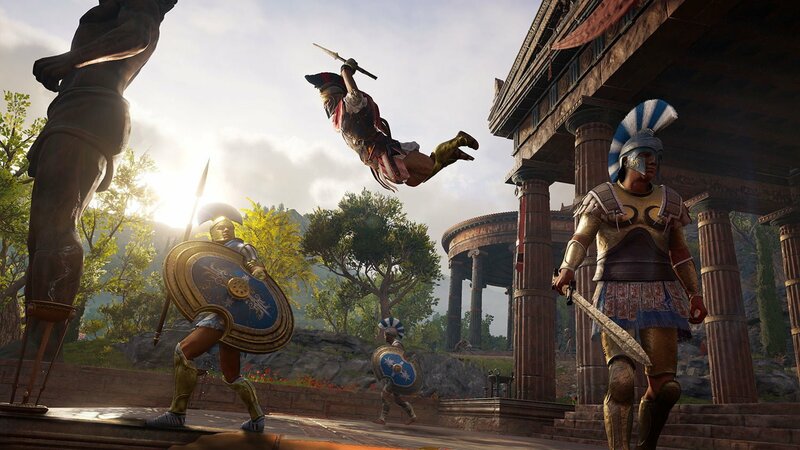 "The incredible visual fidelity of its world combined with the mechanical demands of being a Spartan mercenary in Ancient Greece make Assassin's Creed Odyssey the perfect candidate to push Project Stream to its limits," says Ubisoft. There will only be a few testers participating in the project, and signups are open right now via the official Google project page if you're interested in participating. You must be a United States resident and at least 17 years old to join up. There are additional details on the streaming project coming soon, but it's intriguing to see Google taking the initiative to bring this type of test to the masses so early. Stay tuned to Shacknews for further updates on the situation.